Carolina Container Connection is your source for quality conex boxes and new or used ISO shipping containers in North and South Carolina and nationwide. We have over 28 years of experience in the North and South Carolina containerized shipping and conex box industry and understand the need that our customers have for quality equipment. 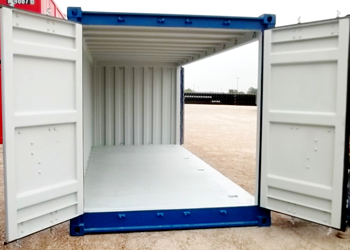 Whether you need a new or used shipping container for storage or personal use in North and South Carolina or just a conex box or cargo container, Carolina Container Connection has all your containerized needs met nationwide. Give us a call today and talk with one of our shipping container and conex box professionals in North and South Carolina. 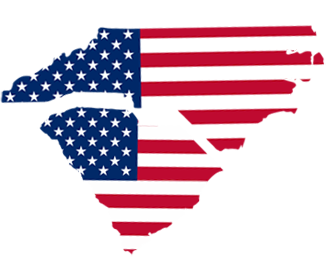 If you are an international customer please call us to see how we can help you locate new or used shipping containers for your U.S. cargo in North and South Carolina or whatever city you need. We will locate the unit at the lowest available price in the city closest to your shipment, saving you countless time and money. When your shipment arrives at it’s destination you can unload your cargo when it is convenient for your company and your project. You can trust Carolina Container Connection to put you first and to help you get the best deals on new and used shipping containers in North and South Carolina and conex boxes nationwide. All new and used shipping containers from Carolina Container Connection are cargo worthy and ready for immediate shipment, they also make quality storage containers. Call for specialty sizes or specific modifications, or fill out our online form for a no obligation quote! DNV 2.7-1 Certified Offshore containers are made of solid steel and weighted higher than standard shipping containers. 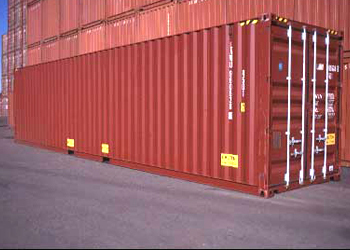 We offer a variety of new and used shipping containers in North and South Carolina to fit your needs. We provide a range of sizes nationwide as well as flat rack, open top and refrigerated containers. 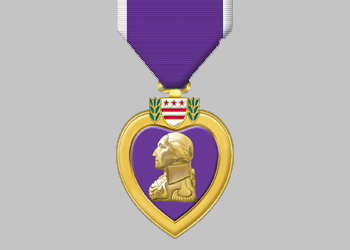 The most frequent questions I get asked are “How did you become Service Disabled?”, “How did you earn a Purple Heart?” and, “Tell me about the Citadel”. Our new and used shipping containers meet all IICL specifications and are an inexpensive solution to many of our customers logistical needs. It gives you more control of your cargo shipment when you own your own container. Due to rising demurrage and per diem costs charged by shipping lines, companies are finding that supplying their own containers is becoming a cost effective solution for many companies and individuals. Our shipping containers meet all IICL specifications and are an inexpensive solution to many of our customers logistical needs. It gives you more control of your cargo shipment when you own your own container. Due to rising demurrage and per diem costs charged by shipping lines, companies are finding that supplying their own containers is becoming a cost effective solution for many companies and individuals. Same or next day delivery offered in most areas!